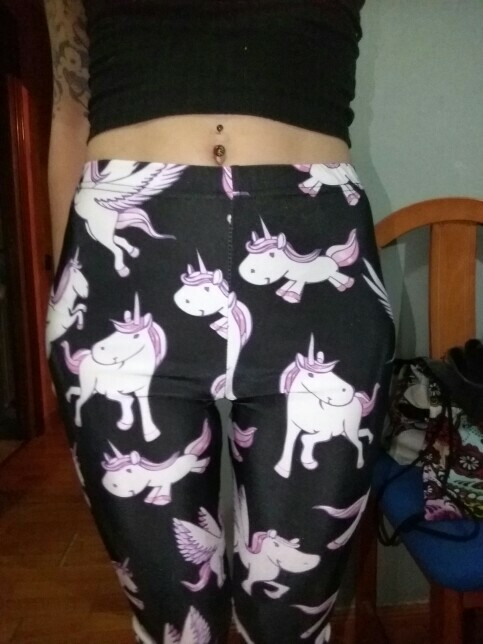 These High Waist Push Up Purple Unicorn Leggings are delightful because the unicorn is a legendary creature that has been described since antiquity as a monster with a single big, pointed, spiraling horn stretching from its forehead. Nowadays unicorn is known as uniqueness symbol. Be unusual in our Unicorn leggings in your morning running, a daily walk or at the house – they apply everywhere. are pretty elastic. quality nice fabric.